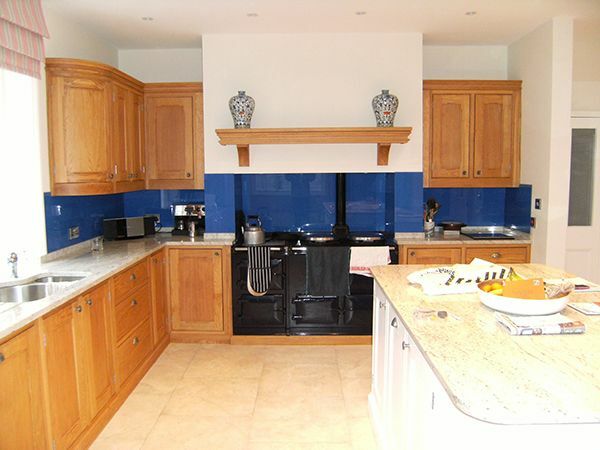 Leading supplier & installers of bespoke kitchen splashbacks in Rye. 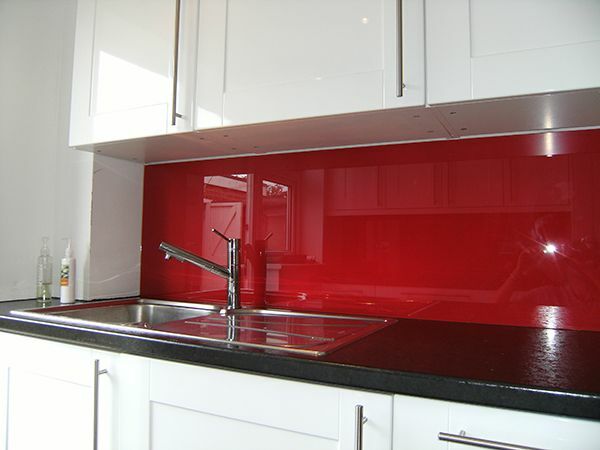 With KB Glass your glass splashbacks are precision-cut & custom painted. KB Glass specialise in stunning glass splashbacks, adding a luxurious feel and contemporary style to your home or business in Rye. With a long-standing history in the glass industry, we are well equipped with the knowledge and skill to design and install your glass splashbacks to the highest standard. 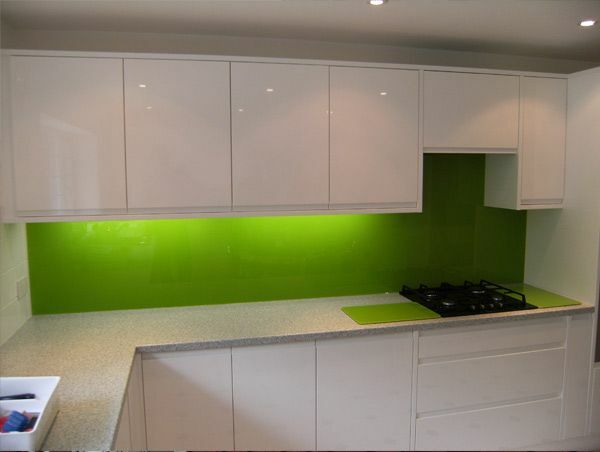 Choosing glass splashbacks for your home or business presents many benefits, with the coating on reverse the toughened glass can be easily cleaned and is extremely durable. Being heat resistant up to approximately 200 degrees centigrade, a glass splashback is ideal for usage behind an oven or a wood burner. The glass can be easily fixed to the wall with mirror adhesive (products like Gripfill and No Nails etc, must NOT be used under any circumstances). Alternatively, as long as it has been specified at the time of order, the glass can be drilled and screwed to the wall with dome top mirror screws. Cut outs for sockets can be cut and complicated shapes can also be accommodated. By reflecting light in the room glass splashbacks also make the room appear brighter and larger. With the improved process of painting the reverse surface of the glass, back painted glass now gives home owners,designers, builders and architects in Rye a sensational new material to work with. It is available in almost every type of glass but usually applied to a low iron float glass due to its clarity. Ideal for kitchens, bathrooms, table tops, wall coverings and shower screens it can transform a variety of settings. Almost any colour can be specified, as long as we have a code to work with (this could be a RAL, Syntha Pulvin or even Dulux code). If you are unaware of the code colour we can replicate to a sample but cannot always guarantee a perfect colour match. We continue to find new uses for this very innovative and versatile product. At KB Glass we take every care to make sure your new glass splashback installation is a smooth and seamless process. To make sure each panel is perfect we template every panel prior to placing your job into production. This way we can hold the templates in place to ensure each panel fits correctly, providing you with a good idea of what the end product will look like. This service is completely free to our customers in Rye. Our team are always focused on our customers and we work hard to ensure you receive the highest quality service, workmanship and finished result. Take a look at the vibrant range of colours we have on offer - we guarantee you will find the perfect match for your home. Contact us today to find out more - our friendly team are ready to help.